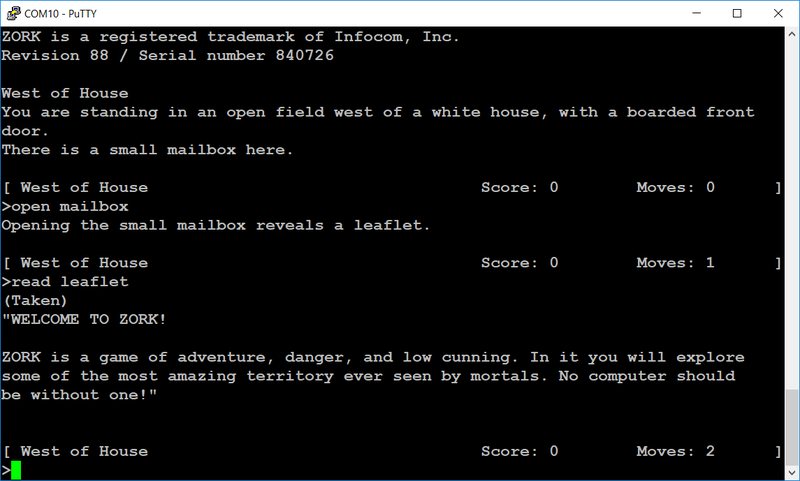 I was successfully able to get the classic game “Zork” and the Z Machine engine that drives it running on an Adafruit ItsyBitsy M4 Express. 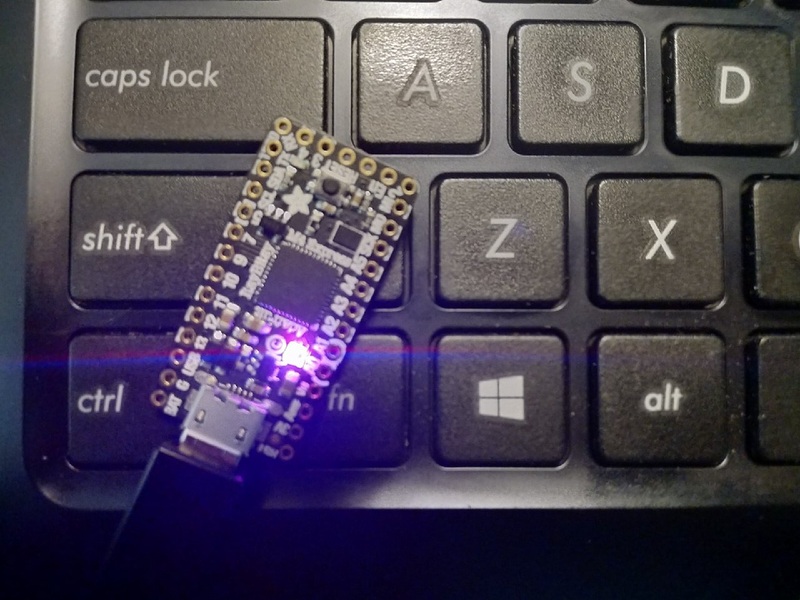 Despite its small size, the ItsyBitsy M4 Express contains one of the most powerful processors available on an Arduino today, the ATSAMD51 32-bit Cortex M4. 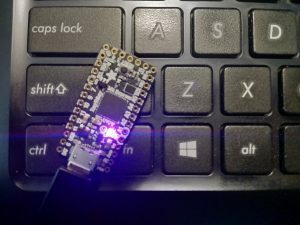 With this powerful tiny device I was able to run Zork with a stock ItsyBitsy M4 Express without any additional hardware or wiring. With the 2MB of SPI Flash memory included on the ItsyBitsy Express, there is enough room to store and play several Z Machine games as well as save game progress. The ItsyBitsy is connected to a computer through a USB port and the game is played using a terminal emulator ( I use PuTTY) thanks to the UART support on the USB. More project details and GitHub project repository coming soon. Come back and visit again or follow me on Twitter @cogliano for updates (unless I get eaten by a grue before then 😉 ).